The imminent arrival of Single Engine Turboprops flying in commercial operations IFR – on the air operator certificates of established operators – is one of the bright spots in European business aviation right now. 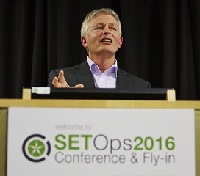 Talk at the 2016 SETops Conference was such aircraft could even be a catalyst for some new mini-commuter airlines in the UK and Ireland, as well as serving as an incubator for future business-jet owners and users. Surf Air and Planesense, established entrepreneurial operators in the US, along with European leaders Hendell Aviation of Finland, Voldirect of France and JetFly in Luxembourg, operate charters with more than 70 Pilatus PC-12s and Daher TBMs between them. But now this new “entry level” to the business-aviation sector is poised to become even more prolific, when EASA and the UK CAA formally approve an initial three established models, the PC-12, TBM 900 and Cessna’s Grand Caravan, for IFR public charter. This is expected early next year. SETops accounted for 238,810 departures in Europe last year, 38% up on the previous year, according to WINGX managing director Richard Koe. With a sweet spot of journeys under 1.5hr, they are connecting 45% more airport pairs than scheduled airlines. France is the market leader in Europe with a 25% share accounting for 25,229 departures in 2016, he highlighted. The UK is second with 16,410 departures (a 16% share), while Norway is third with 12,820 movements. Lead airports are Paris’ Le Bourget, Geneva and Nice. In the UK, most popular are Denham, Fairoaks and Biggin Hill, followed by Bournemouth and Jersey. The arrival of these operations for public charter will need urgent investment in infrastructure, delegates heard, because few general-aviation airports have the IFR capabilities, navaids or lighting and the required CAT 3 fire capability. In Europe – Germany and France in particular – there has been an aggressive programme of introducing LPV GPS-based approaches, but in the UK this has been very slow, with a backlog of airports waiting to have such approaches implemented, as Leeds East Airport highlighted. Getting the paperwork and approvals ratified could also take up to a couple of years. Gloucestershire Airport operations director Darren Lewington noted that there isn’t much money in GA flying. It has had to rely on non-aviation activities for income (one of his hangars was used in the TV series drama Victoria). Yet Gloucester (Staverton) is one of the luckier ones. It has seen its movements increase from 74,000 to 77,000 this year, including scheduled services by Let 410 from CityWing to the Isle of Man, Belfast and Jersey, and has received a government grant to open up the southern part of the airport. EBAA president Brian Humphries, acknowledging that US SETops and EASA European operators have been performing extremely well, said good maintenance and high standards will be paramount as activity steps up. EBAA’s view is that business aviation should be all about giving clients the freedom to choose. BBGA boss Marc Bailey noted that the UK is also positive about the potential, telling delegates he was aware of six companies in the UK alone looking to start operations with these aircraft. Their common powerplant is the venerable Pratt & Whitney Canada PT6 engine, with up to 2,000shp power and the potential for further growth. The turboprop has clocked up 335m flying hours since entering service in the 1960s. However, the OEMs still have to accumulate sufficient airframe-engine combination (pairing) hours before the authorities will be comfortable with mandating their use for commercial SET operations. And while the core of the new GE engine selected to power Textron’s all-new Cessna Denali single-engine turboprop has been around for a while, airframe and engine will have to be proven for some time and accumulate many hours of operation before it can join the established PC-12, TBMs and Caravan family as another option for commercial operations in Europe, at least. European Regions Airline Association (ERAA) director-general Simon Macnamara acknowledged there is a gap in the market – under 50 seats. Twin-engine turboprops are enjoying a revival and for the first time there were more turboprops than jets in ERAA member airline fleets, he said. He acknowledged he can see the potential, akin to the early 1980s when King Air aircraft were flying scheduled routes (Gatwick – Morlaix) with the likes of Brit Air. Sharing Macnamara’s panel was Raoul Witherall, CEO of FlyPlymouth, which is currently crowd-funding to purchase Plymouth Airport, closed since 2011, from Sutton Harbour Holdings. The consortium has plans to re-open the facility, initially as an important GA airport with a complementary mini-FBO. Oxygen Aviation director David Macdonald stressed that how SETops is promoted and how users hear about it will be important. If there is a charter solution available with a PC-12, people will want to hear about it. Why would someone want to take a SETOps over a Mustang? The competitive price and short-runway capability; in order to reach an airport that couldn’t be reached before. To maximise the benefits to the users, members of the aviation community will need to educate themselves on which airports this new category of commercial aircraft can use, he added. PrivateFly CEO Adam Twidell suggested the buying time with this sector is very short, with customers often taking the decision to fly on the day they request the charter. The age of the aircraft too, for UK and Europe, is also very important. Blink managing director Cameron Ogden said the Cessna Mustang his company flies has worked because of its price point – price is key at the lower end of the market and partnering with the airlines, he suggested, is clever to get the brand awareness up. Blink is now working with Air France. The conference, chaired by James Dillon-Godfray and Synergy Aviation’s Dave Edwards, and organised by Emerald Media, heard there is a far wider potential to open up a whole new chapter of GA operations through to new-generation piston aircraft –“realistic air-taxi Ubers”, as it was decribed. And this interest is being mirrored elsewhere in the world. But infrastructure and qualified pilots will be the key to success.